In addition to treating common foot conditions such as bunions, hammertoes and infections, Our Doctors also treat more complex conditions of the foot, including those requiring intricate surgical care. 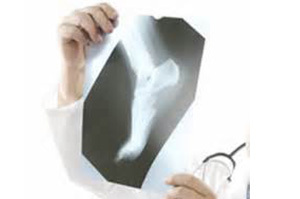 With specialized training in treating diabetic patients, our Doctor’s handle even the most severe complications of diabetic feet, including Charcot foot, in which the foot is fractured but patients do not notice any problems. We also treats chronic foot and ankle pain, gait abnormalities, severe arthritis and rehabilitation following surgery or injury. Thomas Podiatry and Associates’ top priority is restoring patient health and comfort, so that you can continue to participate in your everyday activities without the pain and frustration associated with complex foot conditions. Utilizing the latest and most advanced technology, The Doctor’s at our office are able to provide effective care for our patients. To learn more about Complex Foot Disorders & Podiatric Services, please contact us at 410-749-0121410-749-0121 today or click here to schedule an appointment.